Emily grew up around entrepreneurs so it wasn’t strange for her to want to start her own business. Even though she didn’t know what that would look like, she followed the traditional path of getting a psychology degree and decided to follow that up with a masters degree. Emily felt that something wasn’t right. In the car with her mom she just knew this wasn’t the route for her. Returning home to Ohio she took on a myriad of lives and midlife crisis, she was yearning to live in London but wasn’t sure what her journey work wise would be. In 2010 she moved with 4 suitcases and a dream and moved into a hostel. From there she worked some random jobs and was so not “hearting” her life, until one day things came together for her. Seeing an ad for Marie Forleo, something just seemed to click and she had an aha moment. She had never really seen coaching in this light. Emily started to feel into the type of woman she wanted to work with and help. She realized she had been waiting so long to be happy or to live the life of her dreams. Starting with life coaching, Emily started her business as a guessing game doing things on her own. She got her first client and struggled from there while still working in her job. This lead her to eventually join a group coaching program. After that, the sky was the limit. 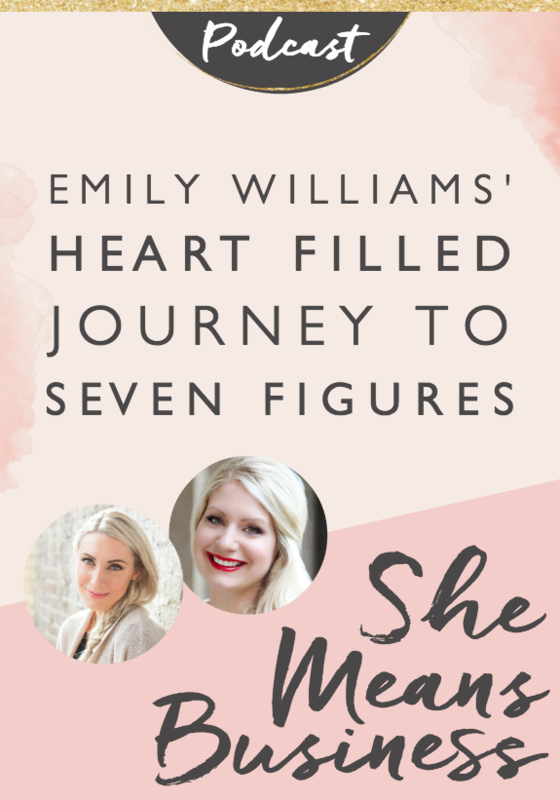 Emily hit 6 figures in her first year, quit her job and hit 7 figures within her first 18 months. Achieving such a large amount of success in a short amount of time may not be the average result but Emily worked extremely hard, sometimes up to 100 hours a week. She knew she wanted to fill a 1 on 1 and group program, knowing the direction she wanted to go in she just really “went” for it. Working a lot on her money mindset helped her transform while going on her learning curve. Emily realized creating a brand as she went (even with 54 no’s in a row) she just kept going. Sure enough, success was on the other side. After those 54 no’s in a row, Emily realized several things. She wasn’t going deep enough with her clients. She had to move past fear of sales or being pushy and start being in service with confidence. Emily made a decision that she as no longer going to let fear stop her. She started focusing on retraining her mind that she was already wealthy and she had all the income for all of her desires. Creating a more positive relationship with her bank account, it started making her relationship with money a more positive experience. Emily set monthly tangible money goals and worked backwards from there. Everyday she would focus on seeing the money she needed coming into her account. She looked at her bank account every single day and learned to create a more positive experience with her funds. Emily has invested a great portion of her income on herself and her own coaching and business. Not only the tangible items but the mindset as well. To find the right mentor for you and your business, she suggests asking people that you trust. Reach out to people that you know and see who they are working with. Not only that but Emily suggests putting your focus on what you are wanting. If you set the intention, sometimes the right person will appear. Emily believes largely in her story. She mentions using your realness and your story from the beginning to share what is possible through your journey. You want to inspire people and give them hope and how they can also get to the other side. 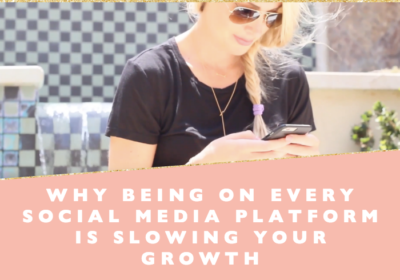 She also credits marketing as a game changer and specifically with Facebook ads. They expedite growth in marketing and being visible. However you can get yourself out there and to be seen is huge. Emily is most surprised about people not being nice. It was a strange thing when you are trying to do well in the world and to receive some people’s negativity as a result wasn’t something she expected. 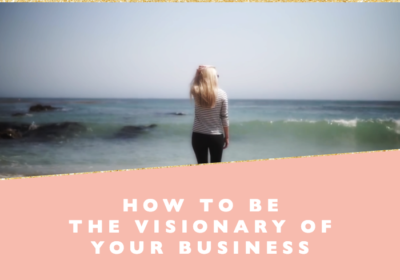 The big vision is something Emily recommends keeping in mind. Surround yourself with like minded people and keep your big picture in mind. When things are difficult it’s important to focus on what it is you are meant to do in the long run to overcome the short term rough spots. [1:13] Introduction of this episode with Emily Williams, success coach. [2:48] Overview of where things are in Emily’s business. 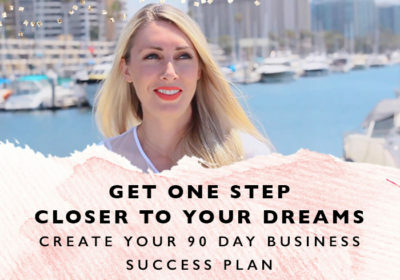 [4:03] How Emily built a 7-figure business in 18 months. [4:26] Where did the inspiration come for Emily to start her entrepreneurial journey? 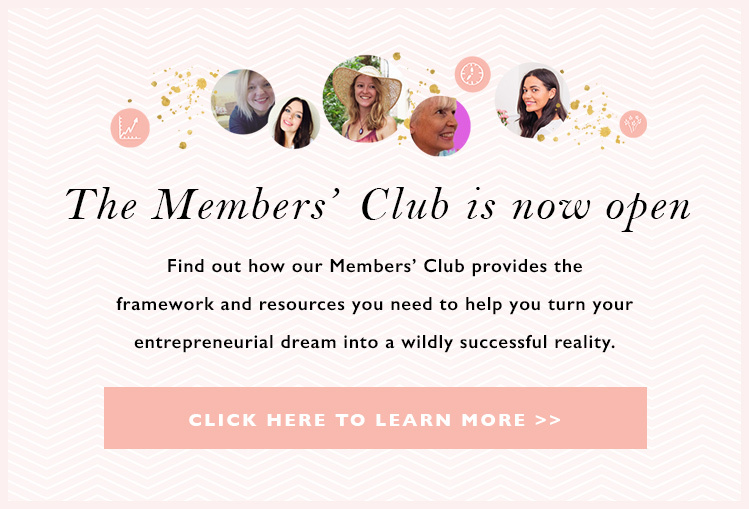 [7:48] What Emily Williams did to turn her inspiration into the business of her dreams. [12:48] How Emily cultivated the right mindset to accomplish her dreams. [16:50] How do you find the right coach? [19:50] What is Emily Williams’ #1 business strategy? Best marketing tool? [21:39] What Emily did not expect to deal with in her business. [23:30] What has helped Emily to stay unstoppable in the pursuit of her entrepreneurial dreams. [24:12] Lightning Round — Quick business advice and resources from Emily Wiliams. [26:06] How to have a chance to win Emily’s iHeart mini-course.